A US-India Alignment Against China? Donald Trump has threatened a pullback of American power. He has talked about drawing down US forces in Germany and on the Korean Peninsula. He has tried to end Washington’s involvement in Syria. Some commentators have labelled him a “neo-isolationist”. But make no mistake. The great power games continue. Look no farther than the latest US approach to India, sending a singal to China. 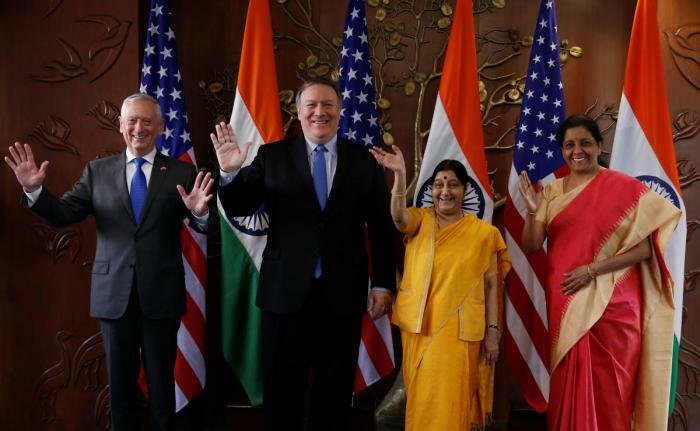 Two weeks ago India’s Defence and External Affairs Ministers, Nirmala Sitharaman and Sushma Swaraj, met American counterparts Jim Mattis and Mike Pompeo in a landmark “2+2” summit and signed the Communications Compatibility and Security Agreement (COMCASA). The agreement enables India to gain access to American military equipment that ensures the encryption of their military and communications networks. New Delhi believes the measures are necessary to ensure the interoperability of defense networks. India and the US have signed two other military agreements this century. The 2002 General Security of Military Information Agreement ensures the protection of information that is shared between the two nations, and the 2016 Logistics Exchange Memorandum Agreement allows each nation to use the other’s military bases for refuelling and replenishment. But COMCASA goes farther — defying the image of Trumpian “neo-isolationism” — in its basing of US security policy within the Indo-Pacific region on a close relationship with New Delhi. India will be a balancing force, curtailing Chinese action within the region. The US marked out this ambition with the revival in 2017 of the Quadrilateral Security Dialogue, a strategic security partnershpip between the US, Japan, Australia, and India. The Dialogue had been disbanded in 2008, but the four powers agreed on a response to the growing economic and military power of China. Beijing wasted no time in protesting vehemently. COMCASA bolsters Indian military power to make the Dialogue more than just task. New Delhi will be able to purchase state-of-the-art military equipment from the US. For example, COMCASA enables India to buy drones, such as Sea Guardian Drones. India will have access to secure US communication links such as Link 16, a data exchange network that enables military aircraft, ships, and ground forces to exchange their tactical picture in near-real time. With Link 16 also used by NATO, the access cements India’s status as a strategic ally of the US. The military dimension is complemented by the quest for economic advance. From the Doklam standoff— over Chinese construction of a road in the border area with India and Bhutan — to New Delhi’s anger over Beijing’s Belt and Road Initiative, the Indians are increasingly wary of China’s growing influence within the region. US agencies, if not Trump, are seizing the opportunity. The two nations have agreed to conduct simultaneous air, land and sea military exercises for the first time, enhancing the COMCASA agreement. But could that bring complications? Even as it has enhanced cooperation with India, the Trump Administration has cut $300 million of military aid to Pakistan on the ground that Islamabad is not effectively fighting terrorism. That could push Pakistan further towards China, as the Chinese companies complete infrastructure projects in Pakistan and the two countries cooperate on the port of Gwadar in the southwest of the country. With Washington tying their hopes to India, one should expect Beijing to use Islamabad to fulfil their own interests, raising the possibility of Indo-Pak tensions. Far from acting as a deterrent on the US approach, such tensions are likely to reinforce Washington’s initiative with New Delhi and in turn Beijing’s involvement with Islamabad. And as more agreements are signed, great power conflict in South Asia will become a self-fulfilling prophecy. 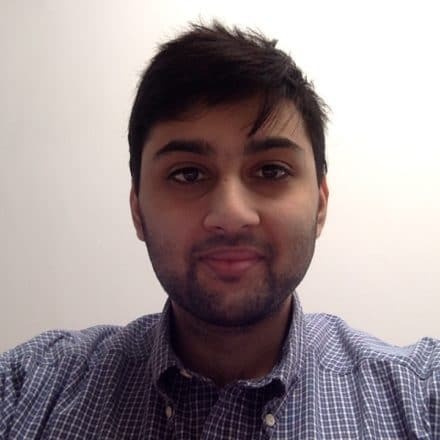 Maneesh Mishra is an M.A. graduate in International Security from the University of Birmingham. His research is focused on issues of conflict resolution and terrorism.